There is something quite elegant about a watch forged from a single, solid piece of 43mm stainless steel. There are fewer screws, so the design is no longer a prisoner to the sum of its parts. There are fewer access points for the elements to attack, which means it becomes a weather fortress in art and design. It also brings up the question, just how are you supposed to change the battery? And our only answer is to leave it to the experts. 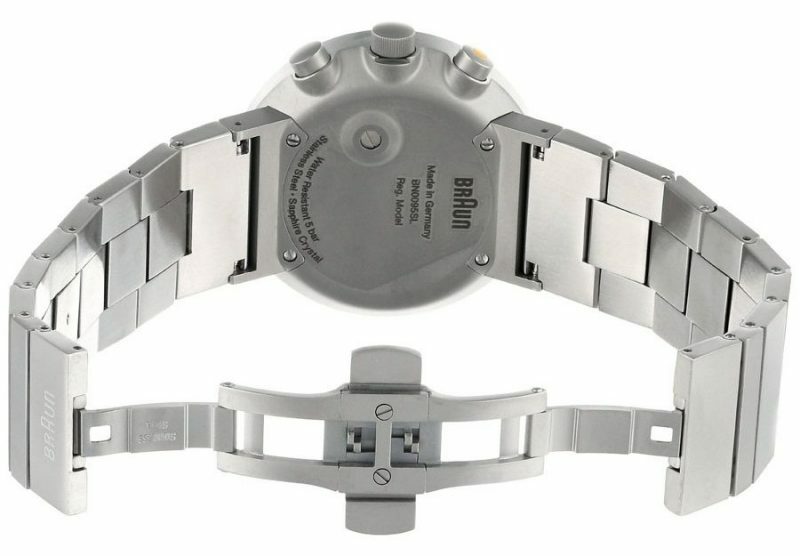 This Braun BN0095 Prestige offers the opportunity to experience an award winner of both the IF Design and RedDot Design for its innovative solid case back. The watch tapers in the rear more elegantly than conventional watches, and its band is attached with lugs that fold underneath the case. 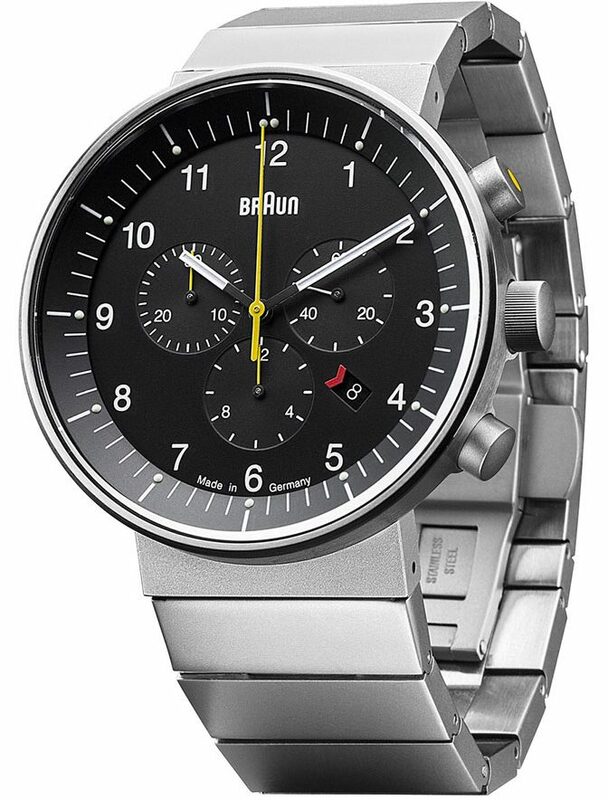 The movement is Swiss analog; its parts are German. 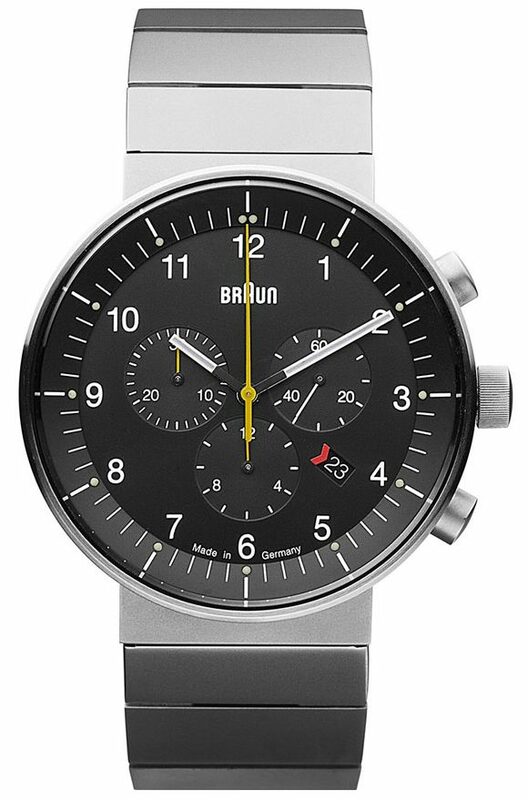 There is so much to appreciate about a watch that has discovered a new solution to the age-old problem of function vs. design – that you really need to experience it for yourself.